Amazon Alexa versus Google Home…… and later this year, a device from Apple. So which is better? Do we really care? This question must be answered in the context of the user. In our case, the physically challenged population who want to continue to reside in the community and be as independent as possible. Look, we already know our limitations – can somebody help me extend my reach beyond my grasp please? So, a bit of background on these devices first. These devices are known by many names: Personal virtual assistant devices, smart speakers, home automation controllers, environmental control units (ECU), electronic aids to daily living (EADL’s), virtual voice assistants to name a few. In our world, they all fall under the general category of Assistive Technology. In this article, we will call them smart speakers if you don’t mind. When Amazon introduced the Echo in November 2014, they coined the phrase “voice virtual assistant”. These devices appeared at first glance to the general population as fun gadgets we could play with, interact with and get information from – such as tomorrow’s weather, my shopping list and how many cups are in a gallon. But gradually things changed – and Amazon took us into the world of controlling devices in our homes. And the term “Smart Home” was born. Actually “smart homes” have been around for over 20 years, but they required electricians, software technicians, and deep pockets to implement devices in our homes that actually helped us. Bill Gates was one of the first to have a truly smart home, and I’m pretty sure cost was no obstacle to him – but it is to us! What Amazon did was “dumb down” the technology so it became both affordable and installable by the general population. Well, sort of. We are still early in the application of these products and integration of different products from different manufacturers is a challenge. But with the right type of “hubs”, which serve as a tent over all your components, the process simplifies. 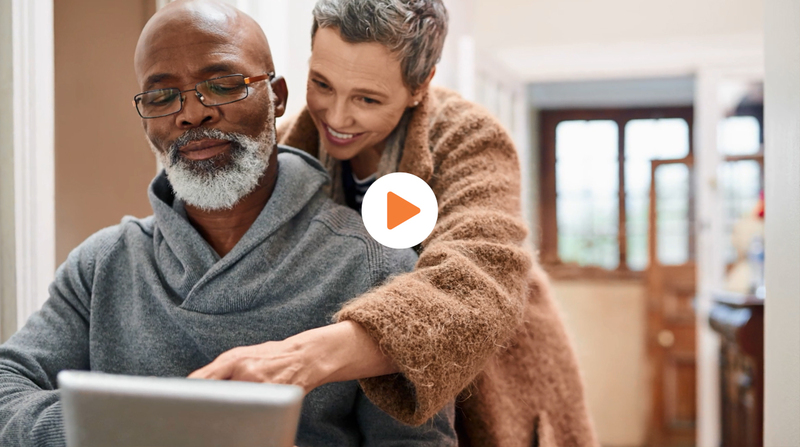 Once the base infrastructure is installed in the home, user caregivers and family members can add additional devices on their own without having to call the installers back. Amazon allowed us to extend our reach, if you may, by using our voices. For our physically challenged population of quadriplegics and even paraplegics, we can now open doors, see and talk to visitors through our smart phones and tablets, change the temperature – and the list grows every month. Developers of systems like the Home Smart Assistant saw Alexa and Google Home not as toys, but as potentially life-enhancing assistive technology for living at home patients. Every month new “skills” are released by Amazon and Google which are provided free of charge to users via updates sent to the user’s smart phone. In the past year, features have been added so users can now make hands-free video calls to people in their contact list – just to chat or get help! These systems have no monthly maintenance fees, but users can purchase options from companies like Nest to store camera images in the cloud perpetually. While not required, many people find having a picture of visitors with a date stamp to be helpful. See and talk to visitors at the door – from bed, from the mall or from the other side of the country just as if you were at home. Even take their picture if you wish. Once visitors leave, we can lock the door behind them. Change thermostat settings, speed up the ceiling fan or turn on a space heater. Lights on and off, curtains open and closed – basically operate any device that has a binary on/off switch. …… and the list grows every month! And if the user cannot speak, we can now integrate augmentative communication devices like the Tobii Dynavox to an Alexa so the user can control these functions by blinking their beautiful eyes! Back to our original question above “so which is better”, consider the following. Alexa was introduced first and has the most products already integrated with it. Google Home is part of Google and has a more complex vocabulary – it can answer more involved questions. Alexa requires more precise speaking to make it operate, whereas Google can figure out what you mean more readily. Cost wise they are about the same. As of summer 2018, Alexa has about 70% of the installed base with Google taking up the other 30% roughly. So where will we be in four years? What is the reason behind all this? Amazon has made it clear that their end-game is full tele-health in the homes. They want to support the living at home lifestyles of not just the disabled populace but the aging in place baby boomers. Keeping us out of nursing homes and living at home where we are better loved, cared for and protected. With a properly designed system caregivers are free to conduct their affairs outside of the home while being able to monitor the patient within the home. Right now, The Google Home and Alexa devices are at the same place in our social history that the personal computer was in 1983 – before Windows and the internet. When the PC was just a $2000.00 deck of cards. And we’ve seen how that changed quickly! As of summer 2018, these devices are in roughly 20% of American household or about 50 million homes. That is a 150% increase in just 18 months! To put this into perspective, it took 13 years for televisions to make it into 50 million homes – it took smart speakers a little over two years to make it. Amazon predicts that 50% of US homes will have some form of smart speaker by 2020. FAAST has partnered with assistive technology companies like CVI Medical with their Home Smart Assistant to make this technology available to our disabled population. In doing so, you can reclaim your independence! Can HomeSmart Assistant help caregivers?